Ever had something slip out of your mouth that you immediately wished you could call back? Join the club. As adults, we know how embarrassing it feels to open mouth, insert foot. We also know it isn’t the end of the world. Well, we eventually know that. But when it happens to a first grader who lacks life experience, then what? 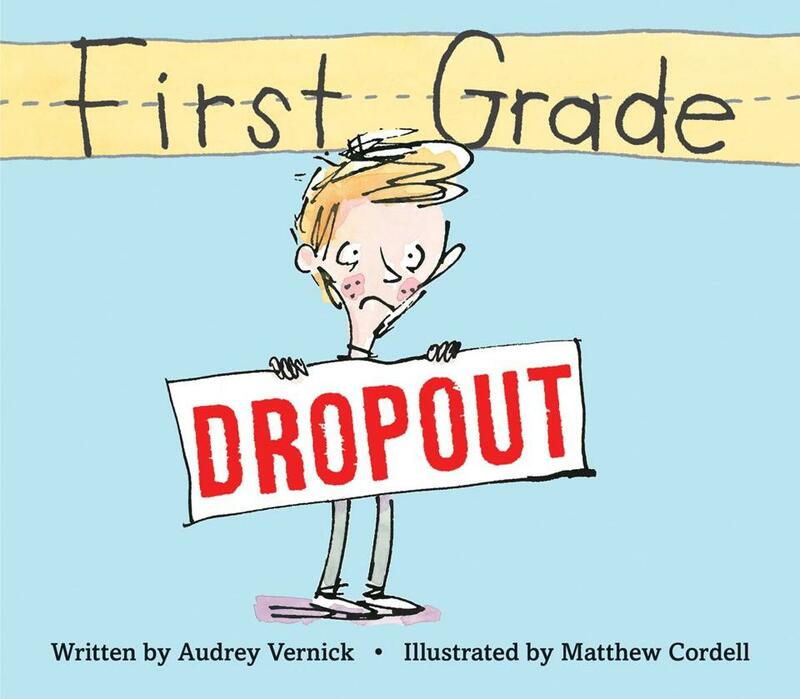 When the lead character in Audrey Vernick’s First Grade Dropout (illus by Matthew Cordell, Clarion, 2015) accidentally calls his teacher “Mommy,” and everybody – everybody – laughs at him, he’s mortified and discombobulated. One thing he hasn’t been is really, really embarrassed. How he handles the fallout of his slip is funny and absolutely child-like. After brainstorming a variety of ways to avoid further humiliation, he finally decides he may have to drop out of first grade. But, boy, that would mean he’d miss out on a lot. He finally learns to deal, naturally. And it feels exactly right. Humor and heart. A combination that gets me every time. I love how Audrey Vernick took a universal, we’ve-all-been-there idea and zoomed in on one sensitive little guy. Readers/listeners can’t help but empathize – and learn something about human nature without even knowing they’re doing so. I asked Audrey a few questions about this charmer. I had it on a PiBoIdMo list–“kid calls teacher mommy,” something I know happens in my sister’s second-grade classroom and elementary classes everywhere. But I left it on that list, untouched, for a long time, because I knew by itself it wasn’t really a picture book. One day I decided to give it a shot and I found myself writing in that voice. Was the text always written in 1st person POV? Was there any part of the story that was tough to get right? The ending! When my editor acquired it, she told me the ending needed work. I can’t remember the original ending but very clearly remember how LONG and how OFF my first revision attempt was. If I had only looked at the manuscript, I’d have noticed that it had all these short, staccato lines in the beginning and middle and sprawling paragraphs at the end. WHAT was I thinking? One of my favorite touches, near the end of the book, is when the MC and his pal Tyler go off to play basketball, and Tyler calls a jump shot a “junk shot.” This provides a fabulous “moment” between the two boys that I won’t give away. But I have to ask … is the term “junk shot” from real life? It’s not! I had planted jump shot earlier without knowing I’d come back to it. It was one of those things my fingers typed almost before my brain even thought it–junk shot. Fun fact: I know the book will be published in France and I am dying to know how they translate that part–jump shot/junk shot. It might be hilarious or horrible or bizarre. Read an insightful review of First Grade Dropout in the Boston Globe here. So, to Audrey: Thanks for dropping by, and thanks for this wonderful book! To the rest of you: If you haven’t yet had a chance to get your hands on a copy of this one, I hope you’ll put it on your must-read list. You’ll be glad you did! 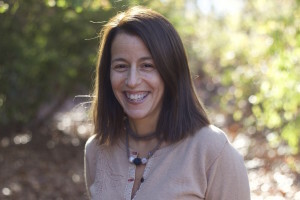 Audrey Vernick writes picture books and middle grade novels. A two-time recipient of the New Jersey Arts Council’s fiction fellowship, Audrey divides her time between writing and visiting schools. (And, if we’re going to be honest, not writing.) She has three picture books releasing in 2016 and the middle-grade novel Two Naomis, co-written with Olugbemisola Rhuday-Perkovich. You can visit her at www.audreyvernick.com. 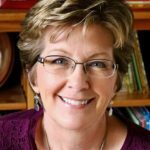 Audrey Vernick, First Grade Dropout, Heart, humor, Jill Esbaum, picture books. Bookmark. Thanks for the interview Audrey and Jill. I especially liked hearing how a typo became part of the book, on purpose, and how the ending had to be changed to match the look of the rest of the story. I have trouble with endings, too. Good to know I’m not alone in that! As it happens, I’ve got FIRST GRADE DROP-OUT sitting on a pile of picture books in my office. Now I’m even more excited to read it! I’m a big fan of Matthew Cordell’s work too. Congratulations to Audrey (from a former Jersey girl), and thanks, Jill! I’m another of M.C.’s fans. So kid-friendly! Looks darling. Thanks for sharing! Thank you for sharing. My library doesn’t have it, yet. I’m requesting they buy it. Great idea, Cassie. Then lots of kiddos can enjoy it! My favorite stories are the stories behind stories. Image having a typo become part of a book! From now on, I’m going to take a closer look at all my typos for inspiration. Now I’m off to my library to enjoy reading this book. This will keep me working on my PiBoIdMo list. It looks like a really cute book and I definitely will check it out. Thanks for this post. Good luck with finishing out the month, Rosi! The title kept pulling me to it, but I kept passing it by. It’s ordered now! And what inspiration to get through 7 more days of PiBoIdMo! I love when a book’s title or cover is so captivating that I HAVE to reach for it. Oh, I can’t wait to read this! I’m teaching 1st grade this year. Oh, I’ve been meaning to read this, and now I remember why! Sounds perfect. And loved the little Q&A with Audrey at the end. Thanks for the invitation, Jill, and thanks for all the lovely comments, good people. Happy Thanksgiving to you all! You’re welcome, Audrey! Hope we can do it again sometime.